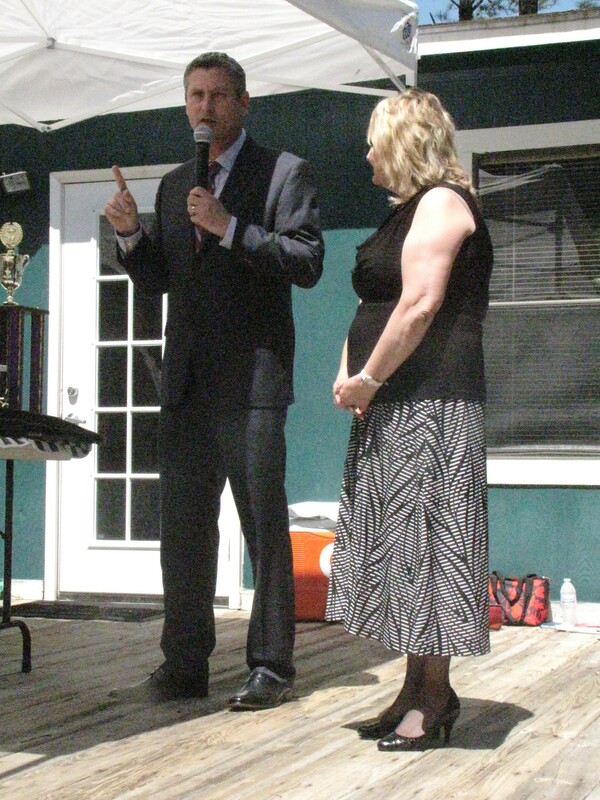 To read Port City Daily’s coverage of the event, click here! L to R: RBA Founder, Baker Mitchell; RBA Extracurricular Activities Coordinator, Jean Lafave; Douglass Academy Headmaster, Barbra Jones; South Brunswick Charter Headmaster, Michelle Mena; Columbus Charter Headmaster, Steve Smith; AHA VP of Youth Engagement, Keith Cummins; AHA Regional Director, Jane Lott; Charter Day School Headmaster, Lisa Edwards. 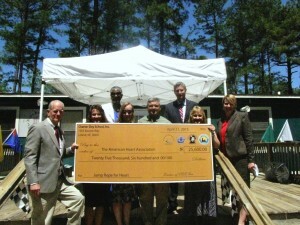 Leland– In a ceremony attended by more than 500 students and parents—as well as a Vice President of the American Heart Association (AHA)—administrators of four local charter schools presented a check for $25,600.00 in funds raised during the AHA’s annual “Jump Rope for Heart” campaign. The large sum is the family of schools’ highest-ever fundraising total. Contributing schools are the four public charter schools managed by The Roger Bacon Academy, Inc.: Charter Day School in Leland; Columbus Charter School in Whiteville; Douglass Academy in Wilmington; and South Brunswick Charter School in Southport. “What this fundraising does is provide funding for research and education,” stated Keith Cummins, AHA Vice President of Youth Engagement, in a presentation ceremony at Charter Day School. AHA Vice President of Youth Engagement, Keith Cummins, addresses students with AHA Regional Director, Jane Lott. “So far, fundraising like this has funded research to develop things like bypass surgeries, heart stints, and cholesterol medications. In 5-10 years, we hope to be growing healthy hearts from skin cells. When we do, it will be because of contributions like yours,” he continued. In addition to Vice President Cummins and an audience of 500 students and parents, the ceremony was attended by AHA’s Regional Director, Jane Lott, as well as The Roger Bacon Academy, Inc.’s founder, Baker Mitchell and headmasters from each of the company’s four affiliate schools. jump roping events in their PE classes. For the Bair family, Jump Rope for Heart was a celebration of victory. With daughters in 5th and 2nd grade at Charter Day School, one sister jumped in honor of the other— whose life was nearly claimed by heart disease—and who, this year, was cleared by doctors to participate in Jump Rope for Heart for the very first time. 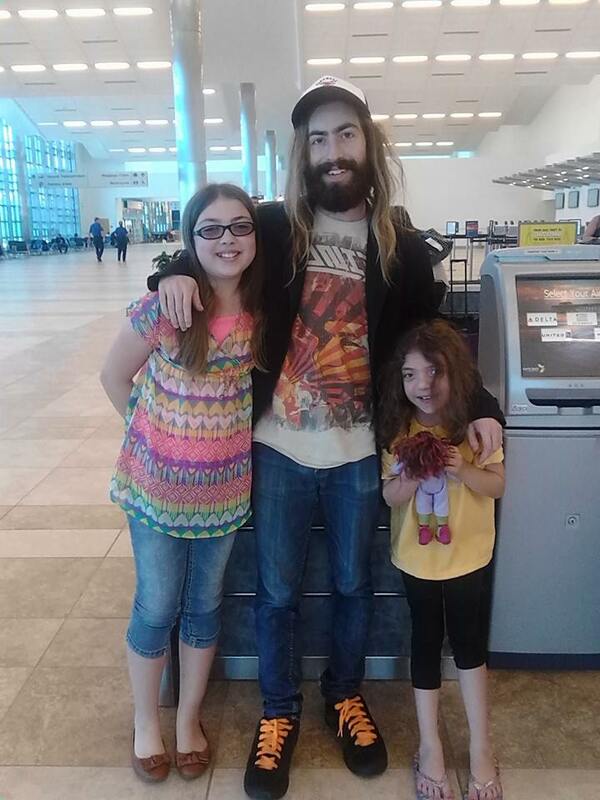 CDS 5th grader Mirella Bair (L) and 2nd grader Mikayla Bair (R) pictured with older brother, Matt (contributed photo). In her first year participating, 2nd grader Mikayla decided not to jump in honor of her own issues, but in memory of her grandfather who passed away two years ago from heart complications. Big sister, Mirella once again jumped in honor of her sister’s battle with heart disease. Charter Day School, Columbus Charter School, Douglass Academy, and South Brunswick Charter School are public charter schools in southeastern North Carolina which any student may choose to attend at no cost. The schools offer a classical curriculum and are currently accepting enrollments for the 2015-2016 school year. For more information, please visit www.rogerbacon.net.